David Cangelosi has firmly established himself as an artist who combines both excellent singing and winning characterizations. He is highly acclaimed by all major opera companies and symphony orchestras in the U.S. and abroad. In 2004, Mr. Cangelosi made his Metropolitan Opera debut as Mime in Das Rheingold, conducted by James Levine, and returned in recent seasons for performances of Incredibile in Andrea Chenier, Tinca in Il Tabarro, and Nathanael/Spalanzani in Les Contes d'Hoffmann. Other roles at the Metropolitan Opera include Basilio (Marriage of Figaro), Goro (Madame Butterfly), and Spoletta (Tosca). He returned to San Francisco Opera in 2011 to sing Mime in Siegfried and Das Rheingold in a new production of Der Ring des Nibelungen, along with his role debut of Shuisky (Boris Godunov) for Dallas Opera. In 2009, Mr. Cangelosi sang Bob Boles (Peter Grimes), and Bardolpho (Falstaff) with Washington Opera. A former member of the Lyric Opera Center for American Artists, Mr. Cangelosi made his Lyric Opera of Chicago debut in Salome in 1997. Engagements with the home company have included Madame Butterfly, Ariadne auf Naxos, Die Zauberflöte, Carmen (Dancairo), Turandot, and his internationally acclaimed signature role of Mime (Siegfried). He returned to the Lyric Opera of Chicago in recent seasons to sing Nick in La Fanciulla del West, Dr. Caius in Falstaff, Guillot (Manon), and Goro (Madame Butterfly). Cangelosi recently made his debut at the Spoleto Festival (U.S.A.) singing the roles of the Noctambulist/Pape des Fous in Louise, and performed as a featured soloist for their Intermezzi Recital Series. Recent and upcoming recital/concert performances include The Montgomery Symphony, Davis Concert Hall (UAF) with Opera Fairbanks, and the PACC Concert series in Boston. Recent and upcoming operatic engagements include returns to Santa Fe Opera (Les Contes d'Hoffmann), Dallas Opera (Boris Godunov, Madame Butterfly, Die Zauberflote), Lyric Opera of Chicago (Les Contes d'Hoffmann, Boris Godunov), and Canadian Opera Company (Tosca).Other recent performances include Pang with the Lyric Opera of Chicago and Santa Fe Opera, Valzacchi with the San Francisco Opera, Dr. Caius with Los Angeles Opera, and Monostatos with the Los Angeles Philharmonic (Hollywood Bowl) and Santa Fe Opera. Career highlights include, Il Pagliacci (Beppe) with Placido Domingo and the Washington Opera (telecast on the PBS "Live from Kennedy Center" series) and his Carnegie Hall debut with the Cleveland Orchestra as Torquemada in Ravel's L'Heure Espagnole(under the baton of Pierre Boulez). In August and December 2000, he completed the CD/Film project of Tosca and made his screen debut at the Venice Film Festival in September 2001. Other appearances include Sellem in The Rakes Progress (San Francisco Opera), Don Juan in Don Quichotte (Washington Opera), and Tybalt in Romeo et Juliette (Washington Opera). Mr. Cangelosi has also sung Cassio (Otello) with the Nashville Opera, Goro (Butterfly) with Opera Theatre of St. Louis, and The Magician in Menotti's The Consul with the Berkshire Opera (available on CD). Mr. Cangelosi continues his close association with The Lyric Opera of Chicago with roles that include Beppe (Il Pagliacci), Little Bat (Susannah), Tobias (Sweeney Todd), Guillot (Manon), and Uncle Donato in Lyric's world premiere of William Bolcom's A Wedding. He performed Monostatos and Basilio with the Paris Opera (Bastille/Garnier) and sang Pedrillo with the Ensemble Orchestral de Paris. Other engagements have included Fidelio (Jacquino) with the Cincinnati Symphony, Pang with the Columbus Symphony, Prunier (La Rondine) with the Boston Lyric Opera, and First Jew (Salome) with the Boston Symphony Orchestra at Tanglewood under Seiji Ozawa. Additionally, Mr. Cangelosi has recorded the Sword Forging Scene from Siegfried with Placido Domingo for the CD "Domingo/Scenes from the Ring" with EMI Classics. He recreated his critically acclaimed role of Mime (Siegfried) for Lyric's 2005 Ring Cycle. 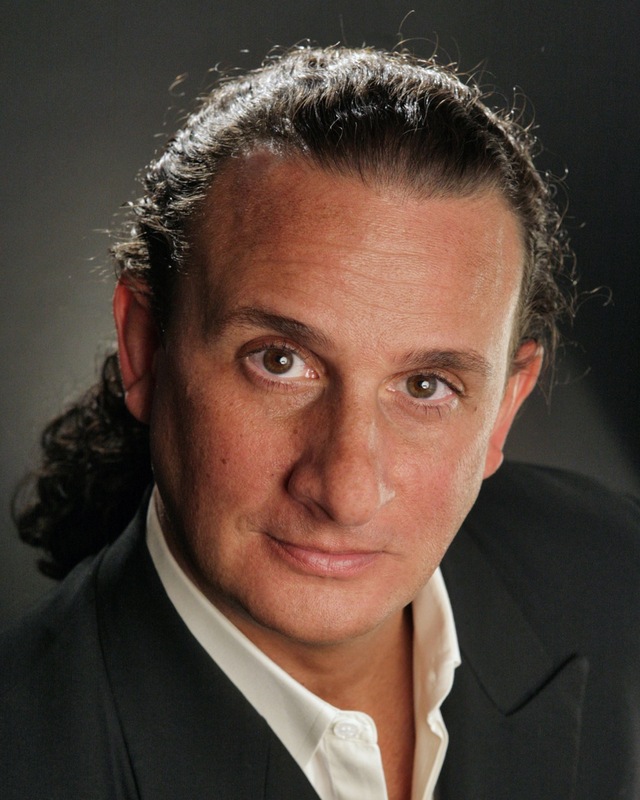 Mr. Cangelosi also serves as the Artistic Director of the Vann Vocal Institute in Montgomery, Alabama; and actively travels the country as a recitalist, symphonic guest-artist, and Master Class instructor for aspiring vocalists. The life of a comprimario, or "Oh, you're that guy!"